Bathrooms, restrooms, toilets, water closets or loos - whatever you want to call them, we all know what they are and what they are used for. 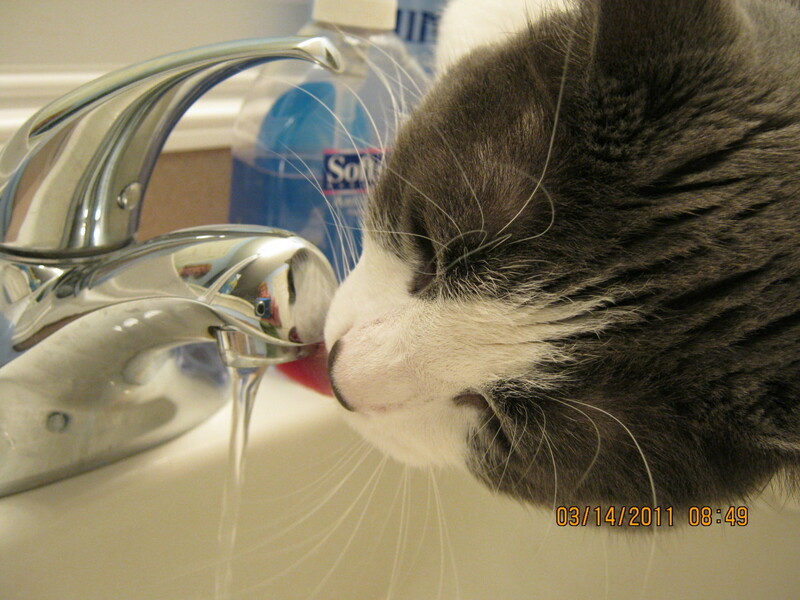 But, they have not always been so handy, hygienic or private. They have changed over the years, and it is likely that they will continue to change. 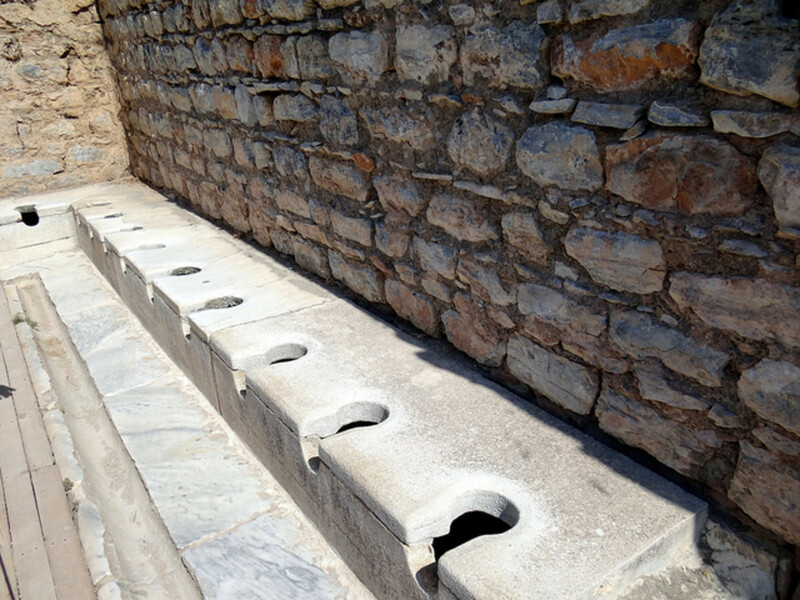 Let’s look at the history of toilets through the ages. In our journey through history, we will even find an answer to the question of why a toilet is called “the john,” among other less favorable terms. Toileting in this time period is much different than we view it today. For the Romans in this time period, “going to the bathroom” was a social event that was shared with family and friends of both sexes. Imagine a large room, which had “holes” located side by side on all the walls of the room. 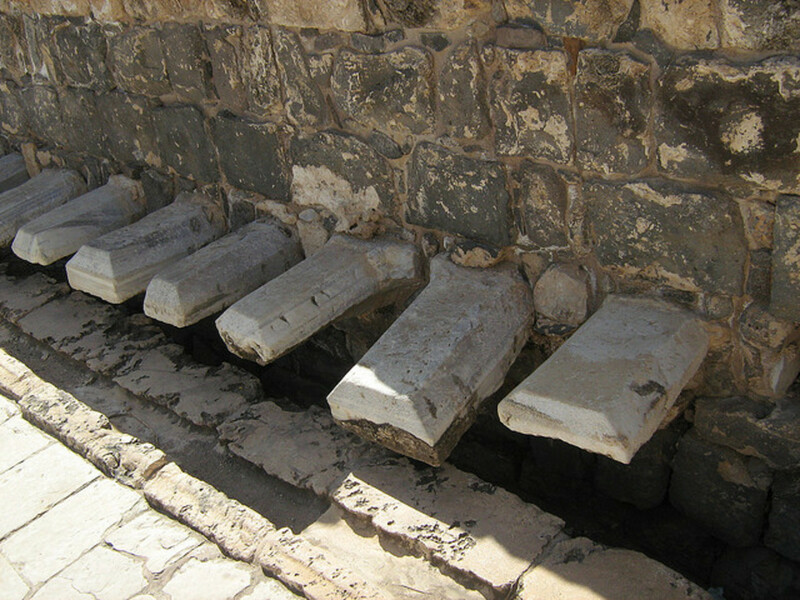 Roman cities contained many of these public toilets. In fact, in 315 AD, the city of Rome contained 144 public toilets. The people met in these toileting rooms to share the latest gossip and news. Toilet paper did not exist. 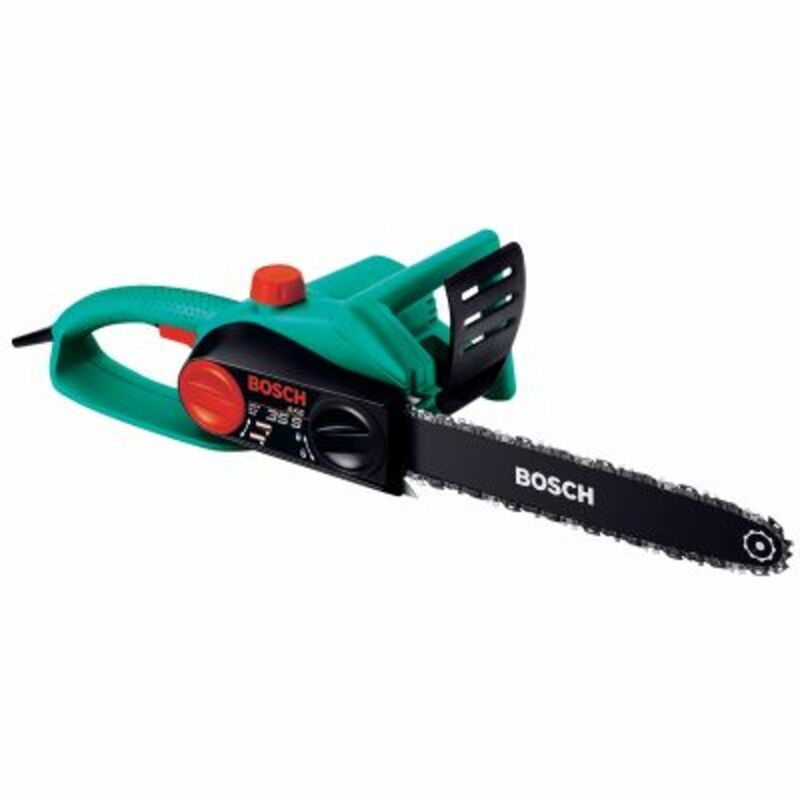 Instead, they used a sponge attached to a wooden handle. This stick was dipped into a water channel, or bucket, and then used. The stick was shared by everyone who used the toileting facilities. It is said that some rich Romans, not wanting to use the stick and sponge, used an ostrich feather instead. It is thought that the saying, “getting the wrong end of the stick”, came from this time period. The Saxons had very little use for such luxuries. Instead, they used chamber pots or dug deep holes into the ground. Chamber pots were used during this time period. The contents of the chamber pots were dumped out a window into the open drains that lined the streets. Rather than using chamber pots, wealthy individuals would have small rooms attached to an outside wall of their homes. This room would contain a plank of wood with a hole in it. Sometimes this room was built over a moat so the waste would fall into the water. Sometimes, the room was designed to allow the waste to fall into a hole (cesspit) that had been dug under the room. And in still others, the waste would fall into a chute where it was diverted to a moat or cesspit. Those in the castle of King Henry VIII, courtiers and servants alike, shared a “great house of easement” which seated 28 people. The waste from this facility emptied into drains leading to the River Thames. A team of boys small enough to crawl through these brick-lined drains were used to keep these drains clean and functioning. That’s a job that would make you want to grow up fast! The king, however, had his own special “throne”, called a “close stool”. The king’s toilet consisted of a large bucket with a water tank, and it had a padded seat decorated with silk ribbons and golden nail studs. 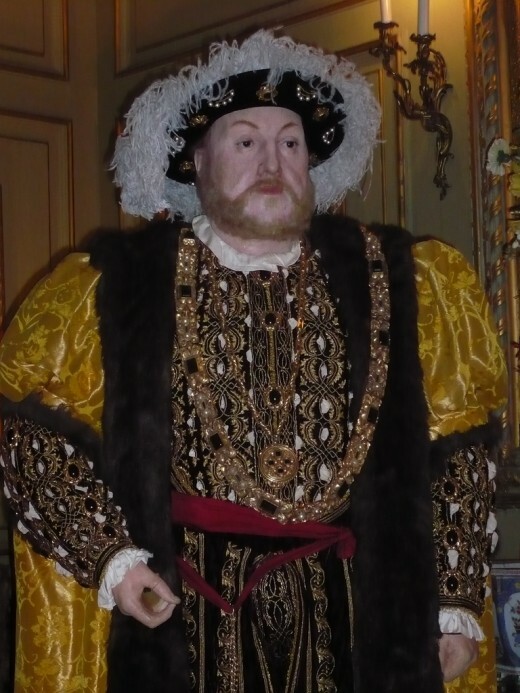 The Tudors felt free to urinate, “pluck a rose” was the term they used, wherever they were when the need arose – in the corners of rooms, in the fireplace or on the street. Common folks used leaves, moss or stones to wipe themselves. The well to do would use bits of old clothing. In 1596, Sir John Harrington built the first flushable toilet in his home. 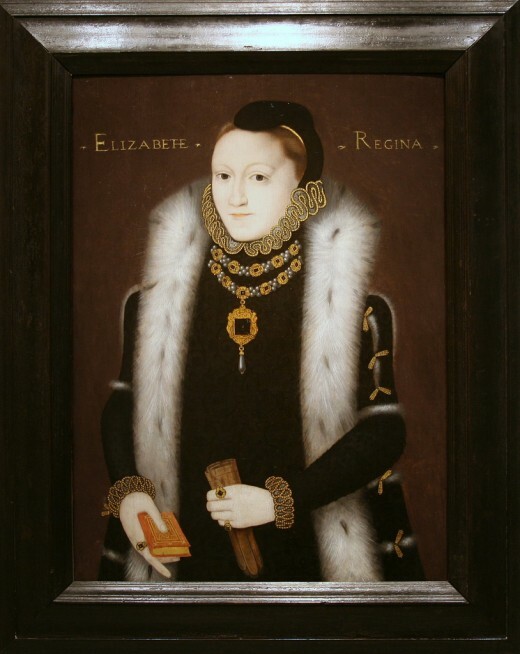 This facility impressed Queen Elizabeth I, his godmother; and she had one built at Richmond Palace. It was dubbed “the John”. After Harrington’s death, his home was destroyed and almost 200 years went by before the next flushable facility was built. During the Georgian Times, the "potty" was often kept inside a piece of furniture such as the sideboard and would be located in the dining room. Most people living in a Georgian city would have a cesspit either under their home or in their garden. The potties would be emptied into these pits. During this time period there are stories of people dying in the “night air”. It is now known that these deaths were caused by deadly poisonous gases caused by the wastes dumped in these cesspits. 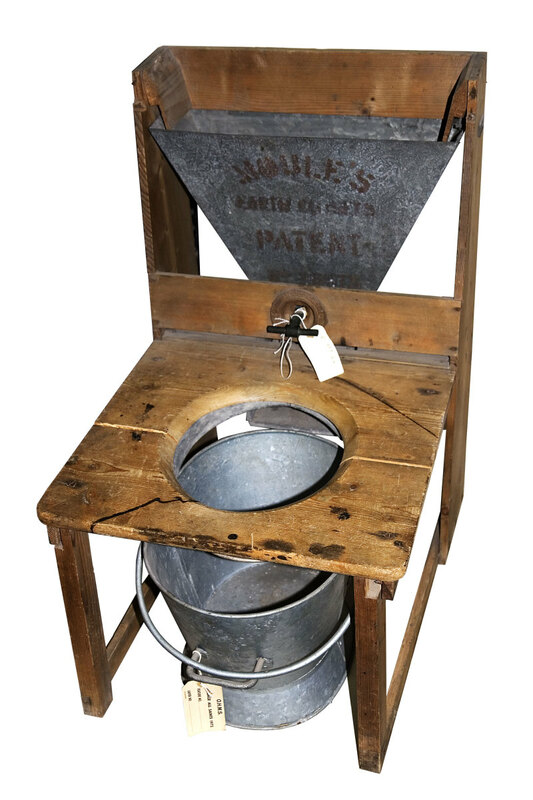 Then in 1775, 179 years after Sir John Harrington’s invention, Alexander Cummings invented the first “modern” flushing toilet. It was improved a few years later by Joseph Bramah. 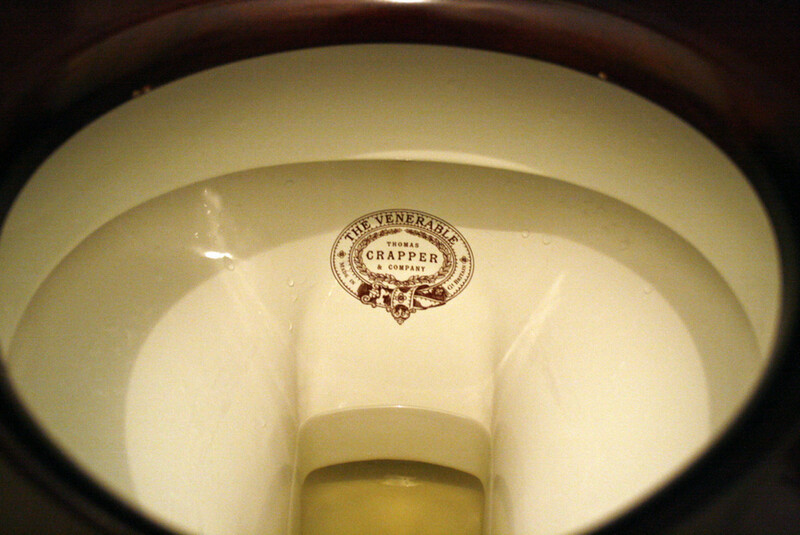 Thomas Crapper’s company manufactured the toilets and his name was placed on them. This is the source from which one of the common, but not so nice, names for the toilet was derived. In the 19th century, the population in Britain increased greatly, but the number of toilet facilities did not. Facilities were shared, especially among the poor. It was not uncommon for facilities to be shared my more than 100 people causing them to overflow, spilling waste into the streets and rivers. The River Thames became a dumping ground for sewage, dead animals, horse manure and chemicals from factories. Although this water was brown when coming from the tap, the people drank it. The unhealthy water caused cholera outbreaks in the 1830’s and 1850’s killing tens of thousands. To prevent this from continuing, in 1848 the government declared that every newly built home would include a water closet or ash-pit privy (hole filled with ash rather than water). 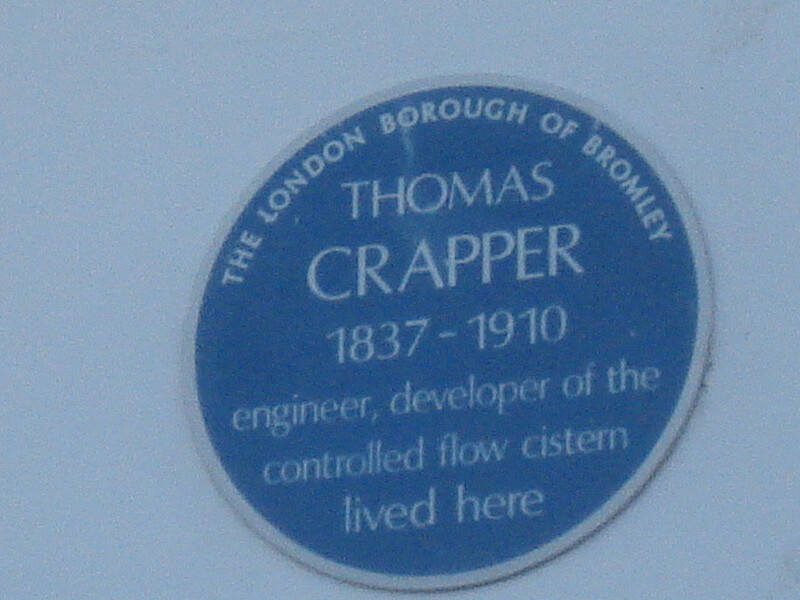 It was not until 1865, however, that a new sewer system carrying toilet waste away from homes and away from the River Thames was completed. It was not until that time that people stopped dying from cholera and typhoid. In 1857 the first toilet paper, which came in flat packs called “curl papers”, was sold in Britain. Because it embarrassed people to see it displayed in the stores, it was sold from under the counter. The first rolls of toilet paper were sold in 1928. It was not until 1932 that soft toilet paper became available; and it was unpopular at first. Despite the progress made in this arena, many people in rural areas still toileted in their gardens until the 1960’s. 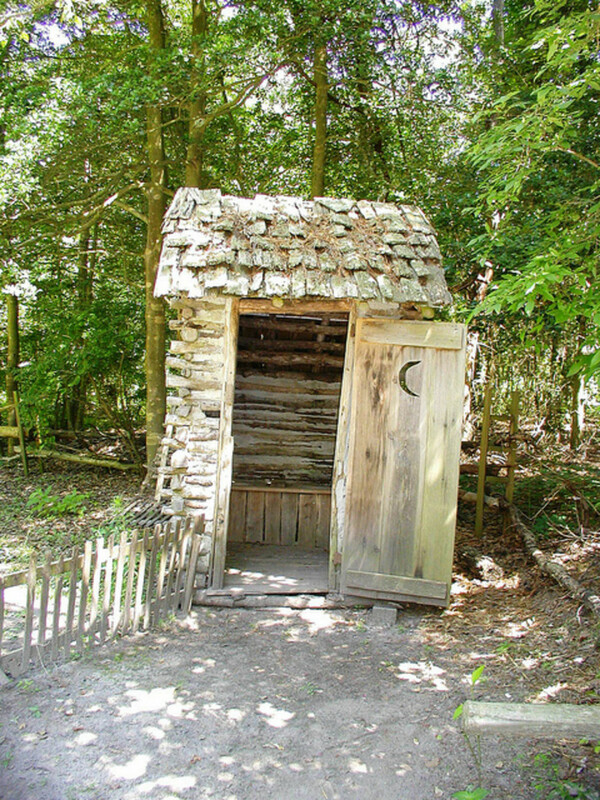 Despite the fact that my great-grandfather had a bathroom added onto his home, he still continued to use the outhouse until his death in the 1960’s. Although a younger girl at the time, the things I remember most about his outhouses (he had more than one) is that they were dark; they had spiders in them; and they often housed snakes. These minor details managed to put a damper on my curiosity. This brings us to the present. 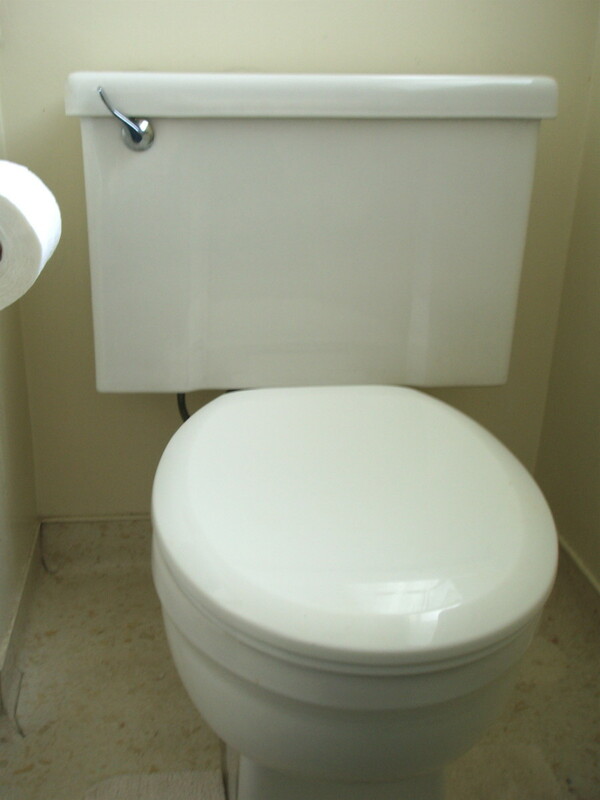 Toilets, also known as commodes, come in many different colors and styles. Toilet paper comes in various colors, prints and even scents. Toilet paper dispensers are available with built-in air fresheners. Many public toilets now have an automatic flushing mechanism. As long as we continue to need toilets, and I don't see that need changing, toilets will continue to change. We are already seeing toilets with heated seats, water saving toilets, and toilets that can wash and dry your bottom. What more is in store for us when it comes to this delicate question? Time will surely tell. I would not have thought that I would have been able to find a video that related to toilets that I would want to use in a hub, but once again I was wrong. Enjoy the video. Comments: "History of Toilets; History of Bathrooms; Toilet Improvements"
wow, i had never seen such open air toilet before! This was a history lesson ... the land ... well it has evolved. Sorry! thougtforce - I am sure the smell must have been horrible indeed. In fact, when the heat was intense the smell could get very bad indeed. Yes, AudreyHowitt - Thomas Crapper! albertsj - I don't want to be on long enough to need a heated seat either. In fact, I can think many places to sit that would be so much more comfortable. Thanks to all of you for stopping by and making my birthday truly memorable. quite interesting, HUb. Have you considered compiling this information into a brochure that you could sell and then I could read it while using the toilet? RealHousewife - I am glad that toilets have advanced away from some of these traditions. I hope we never have to figure things out without TP...hate to think about it. Thanks so much for stopping by. Just Ask Susan - There are many societies that practice and believe that squatting is healthier. A hole in the floor would cause you to squat. Thanks so much for your input. I may need to add this to this hub, as it is still valid. A friend of mine taught english in Korea and I am pretty sure she told me that in the place where her and her family were living the toilet was a hole in the floor. So happy I live in North America :). Great Article! Sueswan - Glad you stopped by. Yes I can imagine that would be embarrassing. Thanks for stopping by, and glad that we are both living in these times. Glad that I am living in these times. I have been in public facilites where the toilets are supposed to flush automaticlly. Once I used one and it didn't flush, I warned the next person not to use it. Talk about embarrassing. stephaniedas - certainly wouldn't want to be a small boy or a pretty girl of marrying age - either one could be bad and one was quite deadly. This is awesome! I would hate to have worked for the King of England, let me say. And I love hearing stories from my grandmother about their old toilets. They had all sorts of contraptions before the 50s. Beth - I bet you never thought you would describe an article about the history of toilets as wonderful, much less fabulous! I'm glad it entertained you. Thanks for stopping by! What a wonderful hub! Fabulous, funny & informative! I love it! Definitely a smell that could stop you in your tracks, I imagine! Whoa, is right! In London, when they were doing all that dumping in the Thames, that had a very hot season that they referred to as the "Big Stink". Glad we don't have to deal with this stuff on a daily basis. Driving past the "dump" can be bad enough! 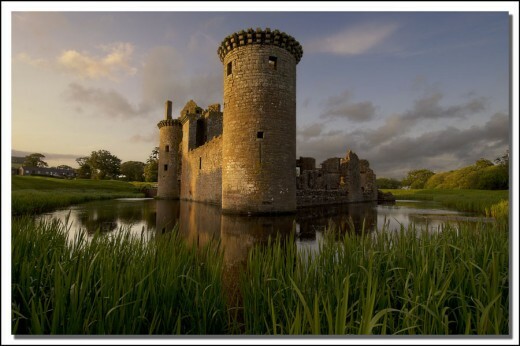 BTW, the reason the castle moats were so effective was what was in them. Can you imagine the smell on a hot day? Happyboomernurse - Your comment made me smile - I'm wondering if that means I have a good reputation or oh no, what is she going to say now? My great-grandfather's outhouses had 2 and 3 holes respectively, so it may have been social even for him! I thought Leroy's idea was ingenious, and could be practical in a hospital application someday, if someone could figure out how to implement it. 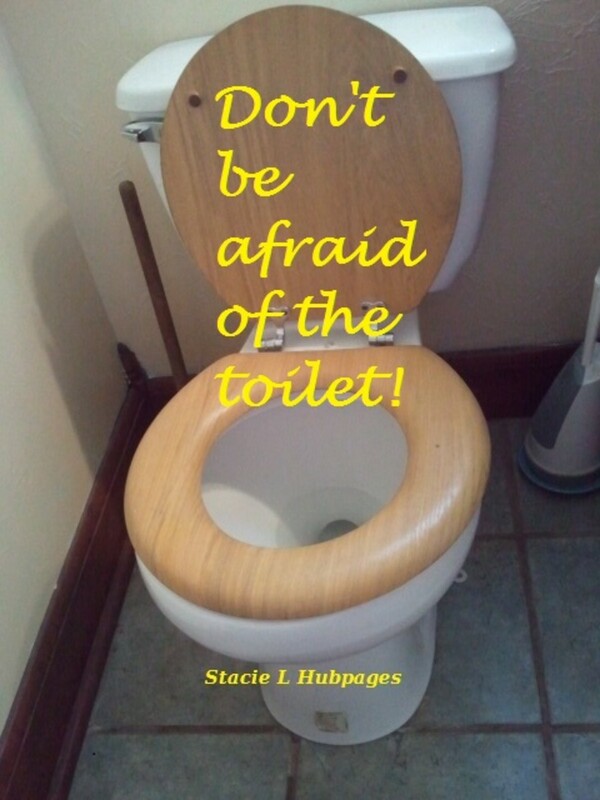 brittanytodd - who could have thought that reading about toilets could be so interesting? But it really was! As soon as I saw the title on this hub and knew you were the author I had to check it out! You did a great job and it was extremely interesting learning the history of toilets. When I read about the Roman public toilets being used to share gossip it struck me as the olden day equivalent of "reading the newspaper while on the John." I had to laugh about Leroy's imaginative comment that someone may one day come up with sensors to monitor the deposits for health reasons. Sounds funny but I could actually see it being done one day. Wow! What an interesting history of the toilet! I had no idea. Also, is that picture of the outhouse from Shrek? Haha. You have a well-organized and interesting hub here, HSB. 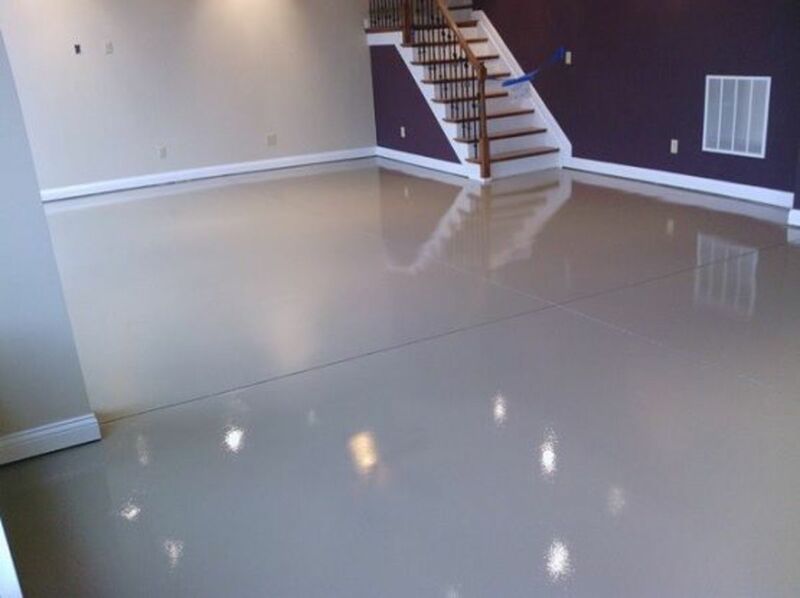 Thank you for sharing and keep up the great work! WillStarr - LOL. Good for Mom. To have had a privy 150 years ago would have been quite a luxury! Thanks for sharing this great story! leroy64 - You brought up lots of interesting ideas about what is being done and what could be done. Sensors to monitor ... might be useful in the hospital and nursing home settings. Thanks for stopping and for a .... sharing. Dad bought a small-town Iowa house in the early 1950s that was built around 1850. It had an indoor privy, and other deluxe features that made it quite the luxurious home in those days. Not so in the 1950s! Mom put up with it until the spring thaw, and then Dad had a septic system installed, and a modern bathroom. There was a toilet on the market that played music to cover various sounds. I have read about a working toilet that included a fish tank where the normal tank should be. We in the West could decide that squatting is healthier and switch to traditional style Japanese toilets. (Basically a hole in the ground with ceramic foot holders.) If you are willing to pay for it, you can have images baked into the ceramic finish that gives guys a target. There is such a thing as a waterless urinal; but, I am not aware of a waterless toilet. Perhaps someone will come up with sensors and an internet connection to monitor your umm..... deposits, for health reasons.